Willem J. Ouweneel (b. 1944, the Netherlands) has earned doctor's degrees in biology (University of Utrecht, Netherlands 1970), in philosophy (Free University of Amsterdam, Netherlands 1986), and theology (University of the Orange Free State, Bloemfontein, Republic of South Africa, 1993). He has published more than 150 books, mostly in Dutch, but with a number of translations in German, and a few in French and English. 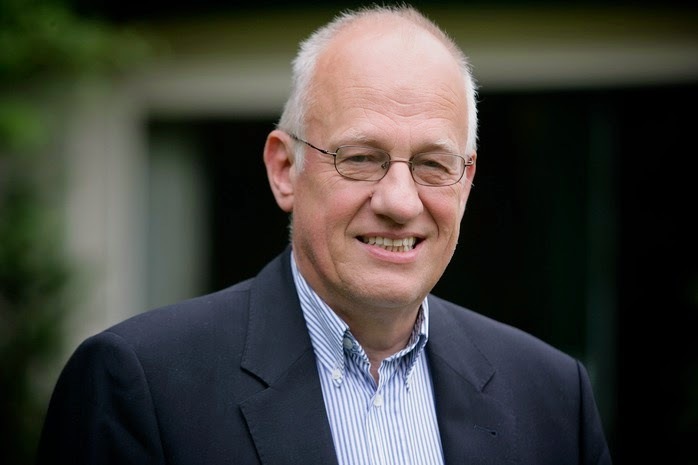 He has been a professor for the philosophy of the natural sciences (Potchefstroom, Republic of South Africa), and for philosophy and systematic theology at the Evangelical Theological Faculty (Leuven, Belgium). He has preached and lectured in some thirty countries, and is still active in preaching/lecturing and writing. He is a fellow for Systematic Theology with the Ezra Institute for Contemporary Christianity. 2017. The World is Christ's: A Critique of Two Kingdoms Theology. Toronto: Ezra Press. 2016. Probing the Past: An Introduction to Christian Historical Science. Jordan Station, ON: Paideia Press. 2014. Wisdom for Thinkers: An Introduction to Christian Philosophy. Jordan Station, ON: Paideia Press. 2014. Power in Service: An Introduction to Christian Political Science. Jordan Station, ON: Paideia Press. 2014. What Then Is Theology? : An Introduction to Christian Theology. Jordan Station, ON: Paideia Press. 2014. Searching the Soul: An Introduction to Christian Psychology. Jordan Station, ON: Paideia Press. Forthcoming. The Ninth King: The Last of the Celestial Empires: The Triumph of Christ over the Powers. Jordan Station, ON: Paideia Press. Forthcoming. The Eternal Torah: An Evangelical Theology of Living Under God. Jordan Station, ON: Paideia Press. Forthcoming. The Eternal Covenant: An Evangelical Theology of Living With God. Jordan Station, ON: Paideia Press.